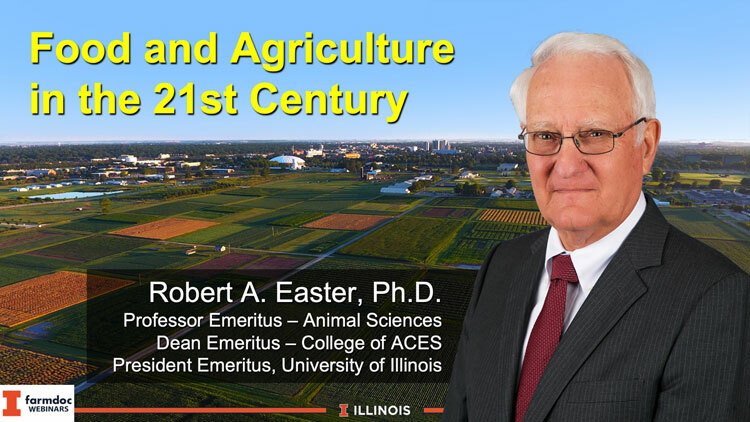 Join us for a webinar on Wednesday Apr 17, 2019 from 12:00 to 1:00 PM CDT, presented by Robert A. Easter, PhD., President Emeritus University of Illinois, and Sponsored by Farmdoc. This typically leads to a discussion of the need to grow more plant-based foods. Although clearly necessary that in itself will be insufficient if current trends continue. A significant portion of the increase is driven by increasing global demand for animal protein and the need grow animal feed stuffs. 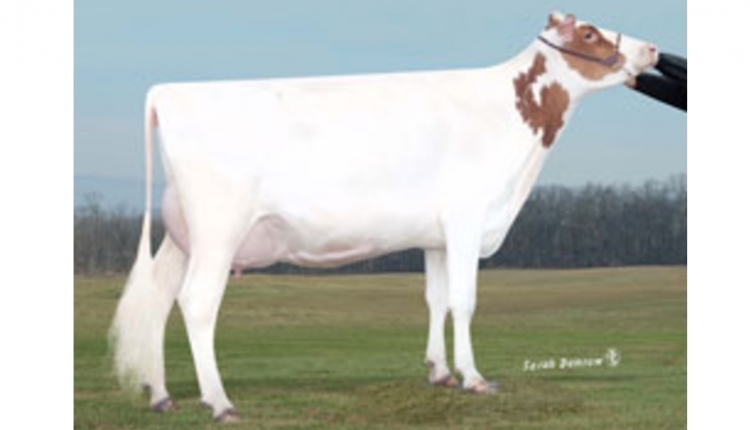 Missing is discussion of the opportunity to increase efficiency of animal production. Also relevant is the need to reduce the portion of foodstuffs (plant, animal and marine) that are lost due to inadequate process and storage technologies. And, finally, it is critical to maintain the capacity of existing natural resources (soil and water in particular) to support high-yield crop production. The webinar will provide one-person’s perspective on these issues. Register at http://go.illinois.edu/2050. After registering, you will receive a confirmation email containing information about joining the webinar. View System Requirements.